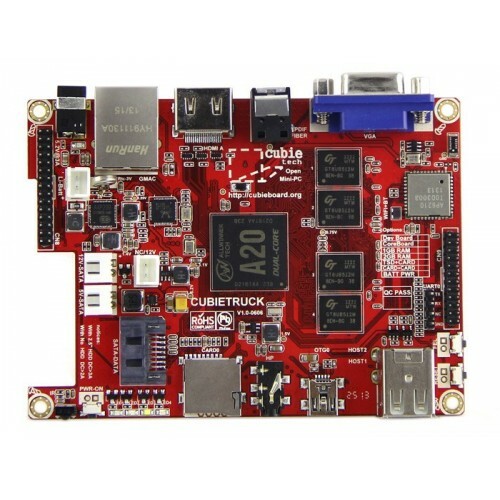 Cubietruck is the 3rd Cubieboard. 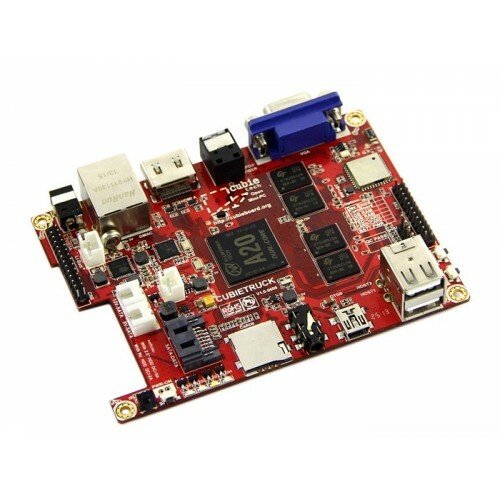 It's a new PCB layout with Allwinner A20 main chip, the same with Cubieboard 2. But it's upgraded with, 2GB memory, VGA display interface on-board, 1000M NIC, WIFI+BT on-board, support Li-battery and RTC, SPDIF audio interface.